Looking to revamp your bedroom interior design? 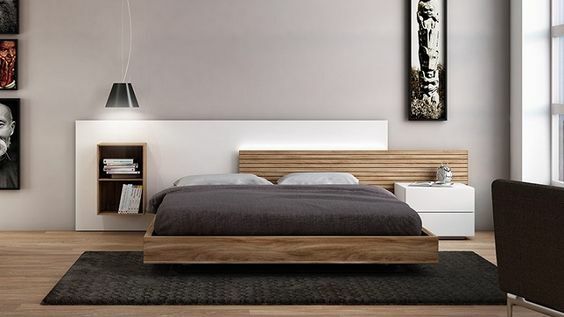 Look no further, in today’s post we’ll walk you through some powerful bedroom interior design ideas. Implement these interior design tips in your bedroom to make it look expensive without spending a ton of money. See, spending a ton of money on furniture alone won’t make your bedroom look good. 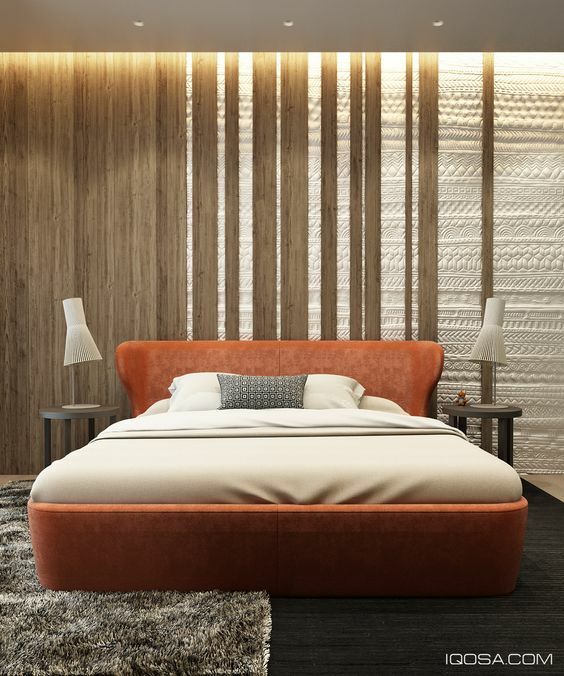 You’ll need to have every part of the design to be perfect to make your bedroom look like a luxurious hotel room. Okay, so are you ready to make your bedroom look expensive and luxurious? 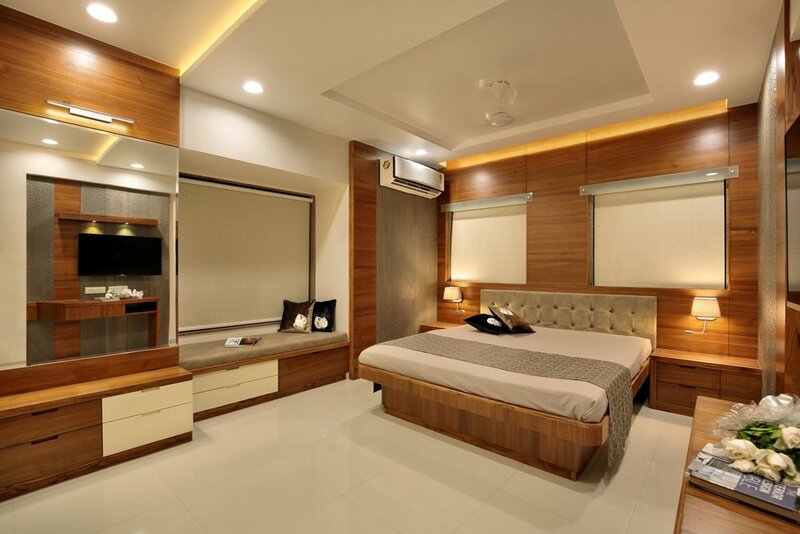 Well, scroll below to check out the bedroom interior design tips, apply them in your bedroom and elevate your bedroom design like never before. If you’re not looking to go for a minimalist design aesthetics, bare white walls will make your bedroom look dull than luxurious. 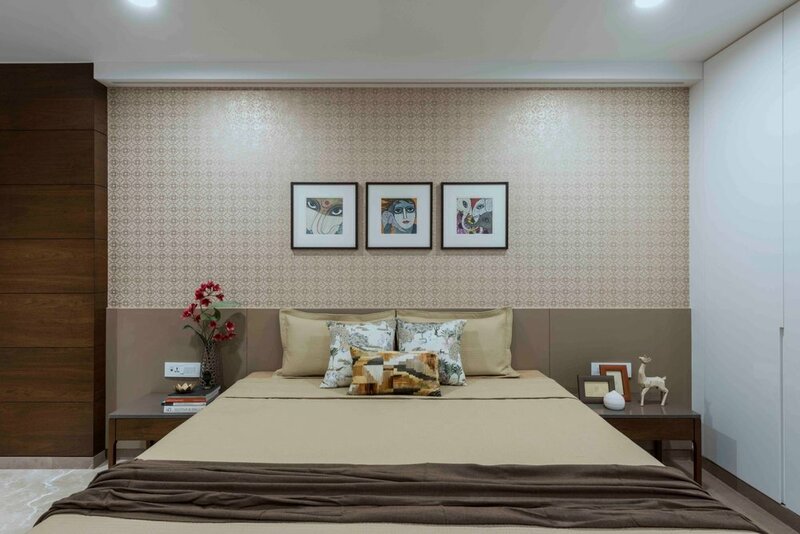 If you’re not ready to repaint all the walls then you can go for a nice dark colour wall paper on one wall of your bedroom to bring in the luxe effect. The best place to apply wall paper is on the wall where your bed is placed. It’ll highlight your bed and also won’t look too overpowering. If we can say one thing that can instantly elevate the look of your bed, it’s the headboard. The best way to make your bed headboard stand is to upholstered it with a leather or faux leather in bold colour or in a unique design. You can also elevate the look of your headboard by increasing the height of it. However, we do not suggest to use any other type of fabrics than leather or faux leather to upholster your headboard. It’ll be a nightmare for you to maintain any other types of fabric. Weather it’s a table lamps, ceiling lights or wall lights, statement lights amp up the glam factor of your bedroom like nothing else. You can pick a fixture with a shiny finish, such as gold, copper or crystals. 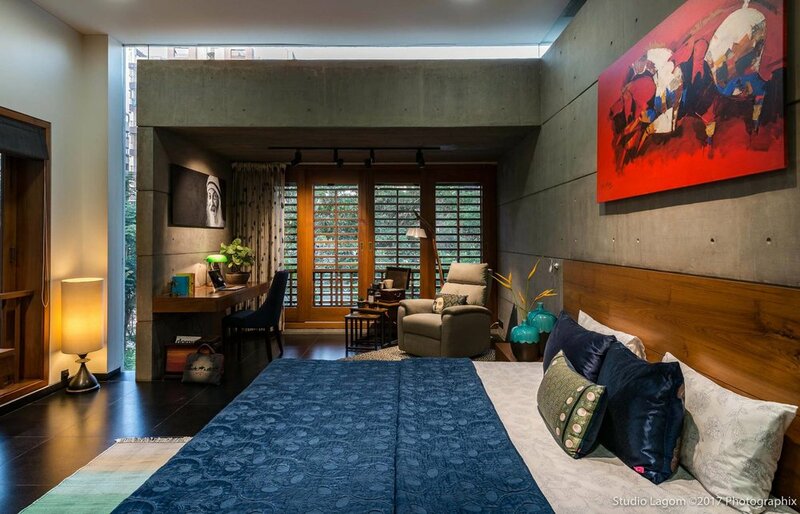 You can also go for an abstract shape or very large light fixture to give a luxurious feel to your bedroom. We would also suggest you go yellow light colour for statement pieces and warm white colour for the rest of the lights. If you want your bedroom interior to look expensive and luxurious then we would recommend you to stay away from white colour lights. If your bedroom is big enough to accommodate a small seating like a sofa or a bench, then you must add a nice looking seating to elevate your bedroom. However, make sure the seating you add is in contrast colour than rest of the interior theme of your bedroom. From the functional standpoint, it will give you a place to seat or read. And from an aesthetics perspective this decor trick often seen in luxurious hotel rooms will bring in luxe element into your bedroom. Night table are essential part of your bedroom furniture. But, if you don’t pay close attention they can easily be turned into a clutter. It’s easy to clutter the side tables with keys, phones, charges, books and many other things. Now, that’s not a bad thing, after all side tables are there to keep things on them and make our life much more easier. But, at the same time that clutter can turn your luxurious bedroom into an ordinary one. So, the best way to keep the clutter away from your side table is to not have a lot of space on them. 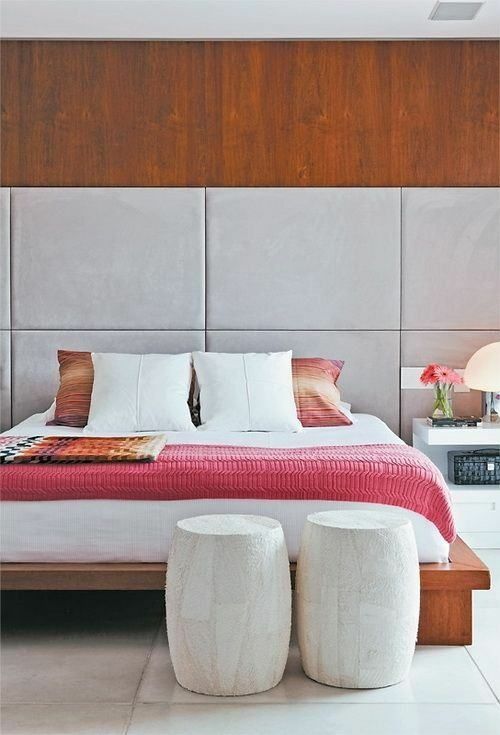 But, what do you really put on your side tables that elevates the look of your room? Yes, it’s the nightlight. Remove access papers or other things you don’t need very often, then add a nice night lamp, and small flower vase. If your current nightstand is old or worn out, it'll be good idea to switch it with a new nightstand. As a small nightstand won’t cost you a lot but will add a huge luxe into your bedroom. Pillows talk. We’re sure you’ve seen some amazing bedrooms photos with a lot of pillows. If you want to make your bedroom look expensive throw in a lot of pillows. Have a couple of super large pillows, a couple of standard sleeping pillow or two or three small throw pillows. To avoid the overstuffed look, the rule to remember here is that pillows shouldn’t take up more than a quarter of the bed length. To elevate the look of your bedroom, select throw pillows in high-end fabrics such a silk, velvet and faux fur. We know it’s too common to have a blanket on for the entire day in India. But, if you want to make your bedroom look expensive have a nice plush blanket on your bed all day. A luxurious blanket can jazz up even the plainest bed.